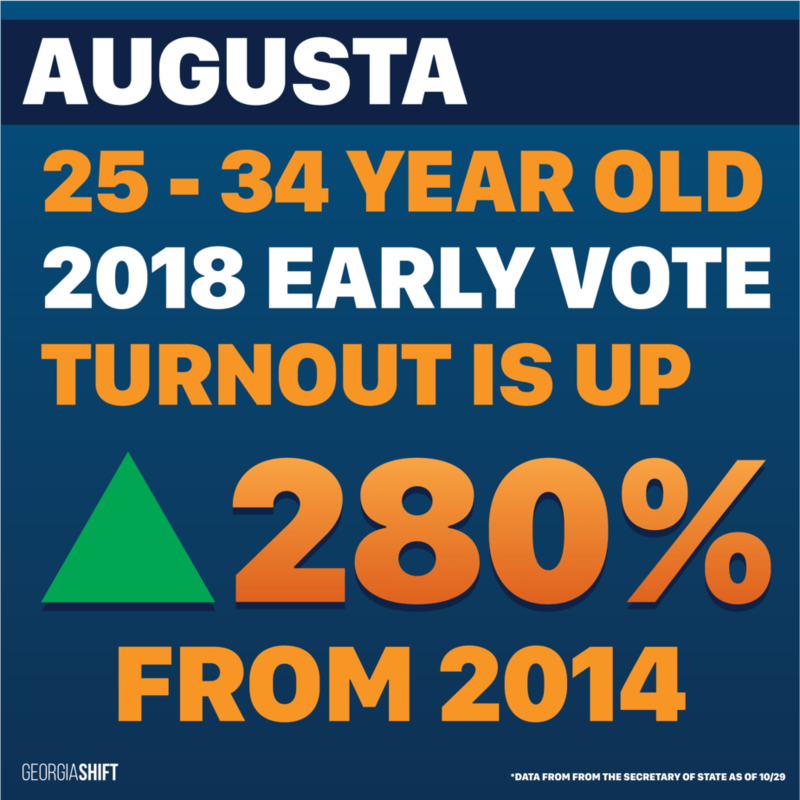 Augusta, GA — Georgia Shift, a 501(c)3 non-profit based in Augusta, is excited to announce that their Get Out the Vote (GOTV) operations has led to a 379% increase in 18 – 34 year old (youth voter) turnout, compared to the same period in 2014. 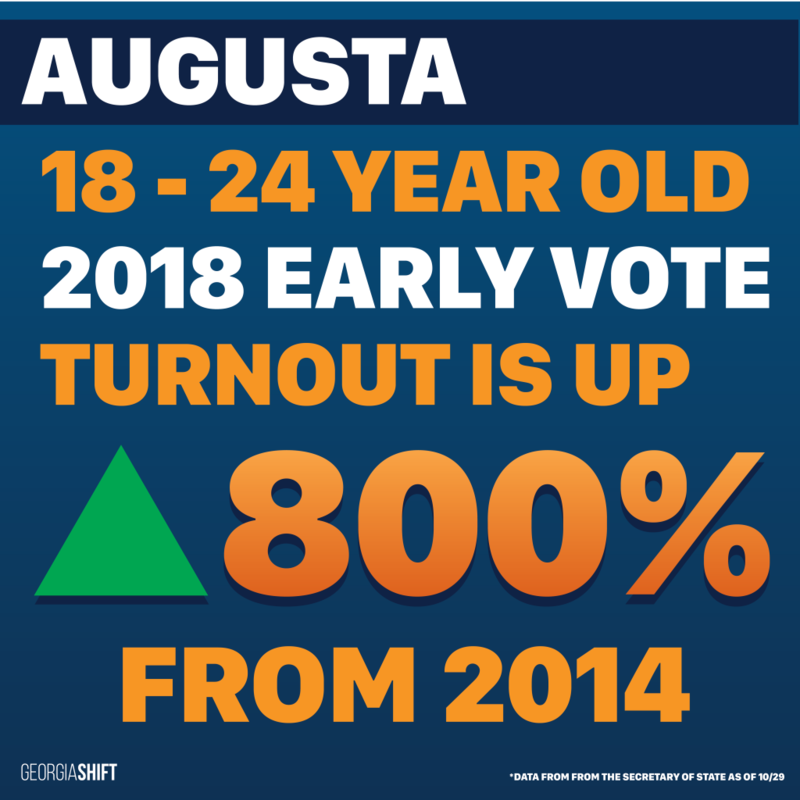 Over 1,600 young voters in the area have cast their ballots compared to 335 young voters in 2014, according data from the Georgia Secretary of State’s office as of October 29. 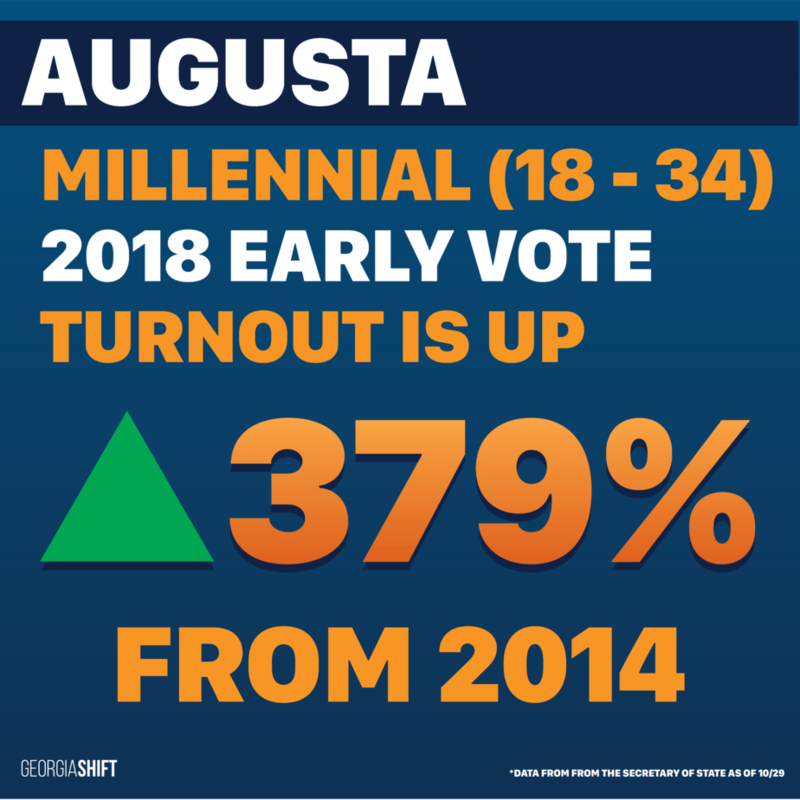 Georgia Shift’s grassroots efforts are focused on mobilizing young voters in Augusta who typically have been left out of the political process. The organization has knocked on 10,000 doors, distributed over 10,000 voter guides, and sent over 25,000 text messages. It has deliberately targeted the youngest voters, ages 18 – 24, resulting in an 800% increase in turnout compared to 2014. Georgia Shift will continue to turn out youth voters through the end of early voting and Election Day. Georgia Shift gives marginalized young people a seat at the table of democracy through electoral action, hands-on advocacy and education, and civic media programs. The organization envisions a Georgia where marginalized young people of color are the fundamental driver of political impact and public policy at every level of government in an unbridled democracy. To learn more about Georgia Shift, visit www.georgiashift.com.